When visiting Los Angeles over the summer, we were looking for somewhere to eat dinner after the movies. Pizza? Burgers? Italian? Well, we stopped in at this bright and colorful restaurant Lemonade. Lemonade is “a modern marketplace serving a colorful bounty of seasonal food & refreshment in a bright cafeteria setting”. What does that mean? It means that when you enter, you go into a cafeteria line and start picking what you want to order. Most of the items are ready to go, like the salads, stews, macaroni cheese, and other items. 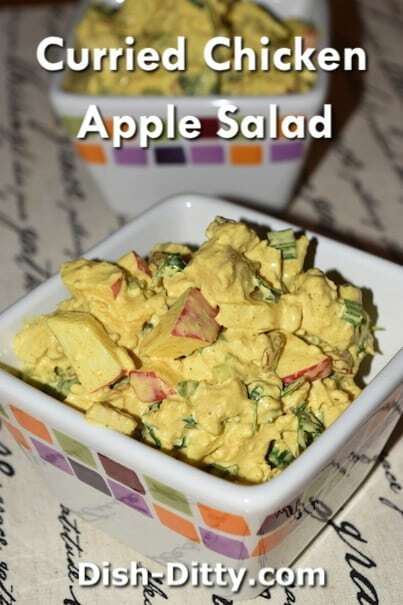 Others, like the sandwiches and tossed salads, are made to order. Either way, the items are fresh and creative. 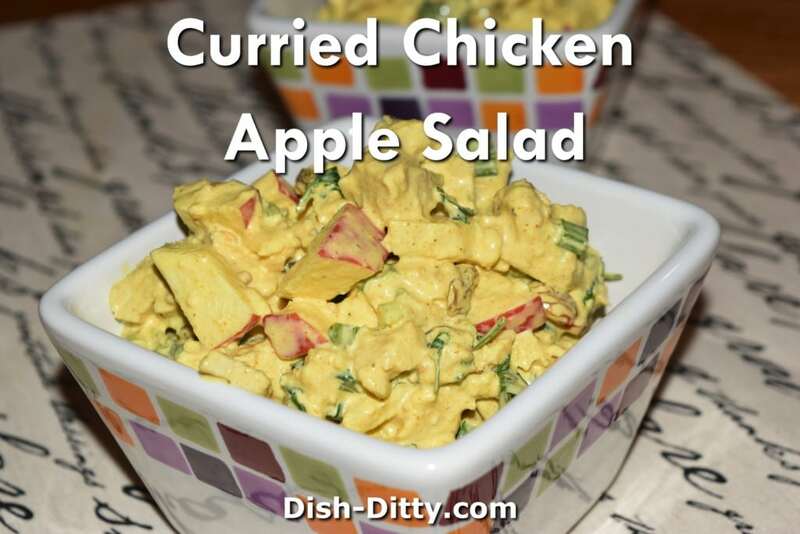 This recipe is in the ‘land & sea’ section which has a couple salmon items, some tuna items, and this Curried Chicken Apple Salad. 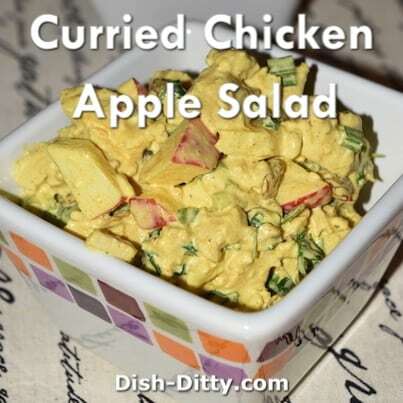 Combine water with turmeric and curry powder. Mix until combined. Add the mustard seeds, lemon juice, salt and mayonnaise and mix until well combined. Add remaining ingredients, mix to evenly distribute mayonnaise mixture. Refrigerate for 8 hours. No Replies to "Curried Chicken Apple Salad Recipe (Lemonade Restaurant CopyCat)"